There are certain things you will never forget in life. The birth of your son. The day she said yes. And your first big dose of trail magic. Ahhh, trail magic. Those two words always put a smile on my face. There is such a strong sense of community on the trail that those who have previously thru-hiked like to leave behind little things (or big things) to help those on the trail. The seasoned veterans know how difficult the trail is and want to pitch in. 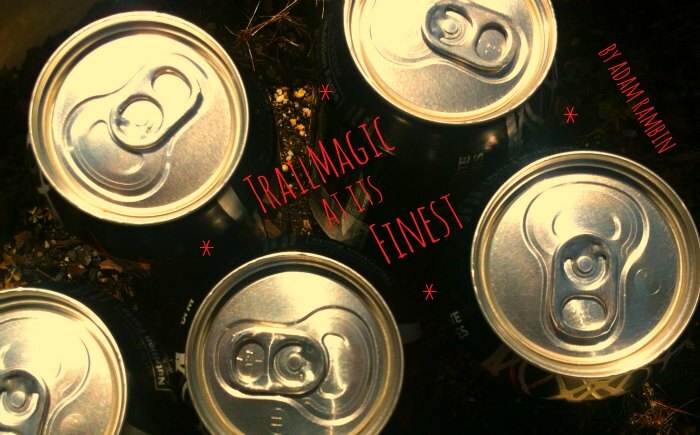 Trail magic can be something as little as leaving a six-pack of Cokes at a trailhead for hikers. These trail gifts usually have a small note of encouragement for the tough journey and are usually signed with a trail name, such as Bumblebee AT NB’09. This signifies that the person named Bumblebee completed a northbound through hike in 2009 is the one giving the trail magic. After our first grueling day, Hillbilly and I hung out at Muskrat Creek shelter for a while and as the sun set, folks started heading off to bed down. We didn’t have a fire that night, and we were utterly exhausted (at least I was – I can’t always vouch for Hillbilly). Crawling into my tiny tent, I drifted off to sleep wondering what the next week would be like. Little did I know that trail magic was lurking just around the corner. I love waking up in a tent. There is just something calming about it. Waking before dawn, hearing the woodland animals begin to stir, and rolling over for just a little more sleep – now that’s the right way to do it. The morning air was cold and I awoke with a slight chill. I knew that I had pushed my limits bringing my summer sleeping bag, rated at 40 degrees, but it was going to work. I found out toward the end of the trip that everyone else had brought their winter sleeping bags, some rated down to fifteen degrees Fahrenheit. They all looked on in awe at my thin sleeping bag. This was one thing I had forgotten to consult with Hillbilly about before the trip. The weather forecast showed a warm week so I just assumed to bring my summer bag. But once you get in the mountains at higher elevations, those weather forecasts aren’t quite as accurate. We broke camp, cooked up some hot water for oatmeal, and headed down the trail. It was a glorious morning with the sun throwing a kaleidoscope of rays down on us as we marched north. After about forty-five minutes of hiking, we approached a gravel road crossing and could see some sort of commotion going on. There were two large tents and several people milling around. And then we smelled it. That rich, salty, unmistakable smell of bacon frying. We were in for a treat. Being the first weekend in April, this was Easter weekend. A church group had set up griddles, grills, tables, and chairs, and was providing an Easter feast for all hikers. Feast is an understatement. We were greeted with warm smiles and quickly sat down and handed menus. Yes, we were handed a menu and told to write our name on the front, and circle our choices. The choices were endless. For drinks they had coffee, hot tea, hot cocoa, orange juice, and apple juice. Pastries, breads, muffins, and biscuits were our appetizer as we waited for our omelettes to cook. The omelettes were almost the size of an entire plate; they were custom made-to-order monster omelettes. I went with the traditional ham, peppers, onion, and cheese. I was a little embarrassed to be on the trail for less than twenty-four hours and be presented with such a feast. The church group was a jovial bunch, laughing and joking as they prepared the meals. This was just something they did every year, their way of giving back. They even packed us a sack lunch to carry with us on the trail. Turkey on wheat, with pickles and mustard, salt and vinegar chips and a bottle of apple juice. All chosen from their menu. This was a phenomenal way to experience my first bit of trail magic. Heck, this was a full-fledged trail miracle. 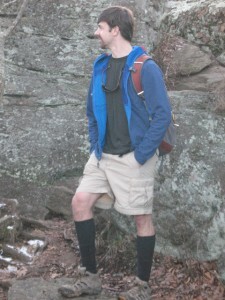 Adam Rambin is an ESOL-teaching, kayaking, hiking, bass playing, Sasquatch-writing adventurer. He also too the picture above. And he has more writing adventures on the way. 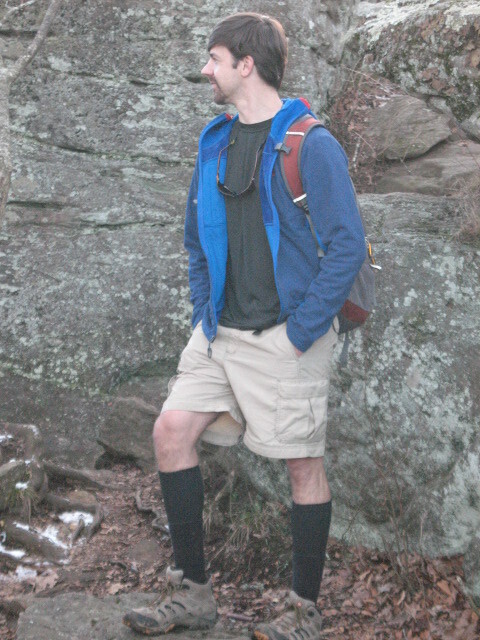 Stay tuned for the next exciting installment in Adam’s A.T. hiking saga! This entry was posted in Uncategorized by kenny. Bookmark the permalink.